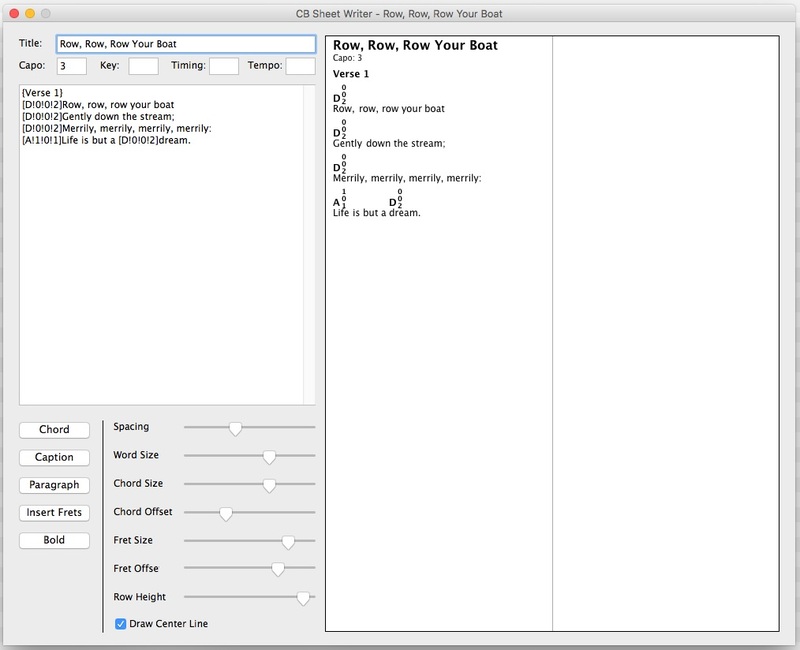 A program to create chords and lyrics sheet music for cigar box instruments. A cigar box sheet music program for Mac OS X and Windows. Create sheet music with chords and lyrics. Special Mountain Dulcimer fretting option. CB Chord Chart: Find chords for 3 and 4 string cigar box instruments.